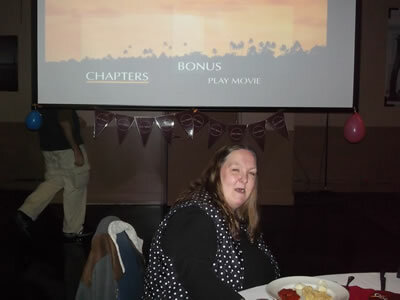 We hope you enjoy this slideshow of photos from our past events! 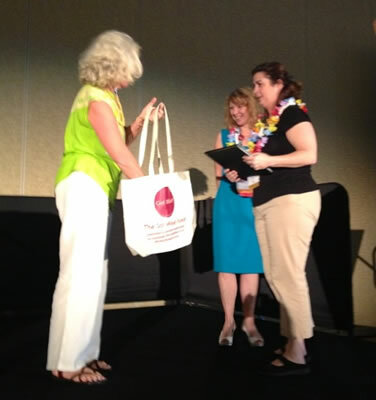 Photo of Brian Habermehl from The ARC of Susquehanna Valley winning our Job Coach Award at The Northumberland County Employment Symposium in Selinsgrove, PA.
Photo of Teri Egner, Program Field Representative in Employment Support Services at the Oklahoma Department of Rehabilitation Services, winning an iPad Mini at the 2015 APSE National Conference in Philadelphia, PA.
Photo of Victor Robinson, a mentor with Project Action in Washington, DC winning an iPad Mini at the 2015 APSE National Conference in Philadelphia, PA.
Photo from the 2013 NJ Sharing Network 5k. 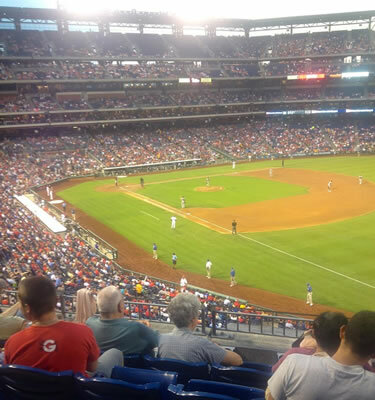 September 29, 2017 - We joined friends and supporters at Citizens Bank Park in Philadelphia, PA, to watch the Phillies take on the New York Mets. 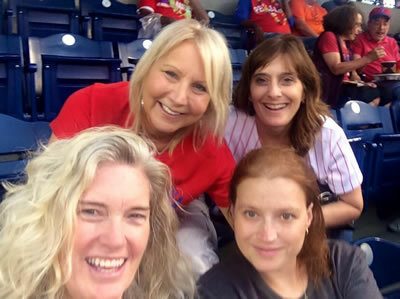 The game was originally scheduled for August 29 and was postponed due to rain, but we had lots of fun while raising awareness of the Fund and increasing the Fund's $$ to help others, and the Phillies won the game! 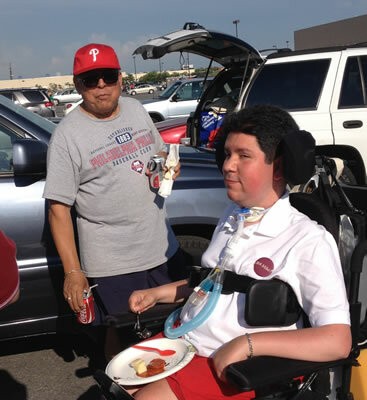 Thanks to the Phillies for helping us reschedule, and thanks to everyone who joined us and supported this fun event. 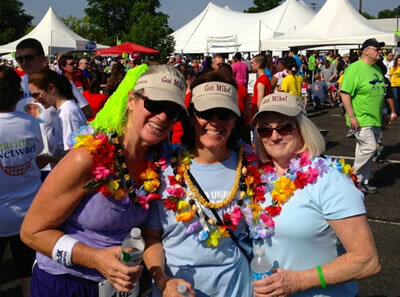 We hope to see you there again next year! Return to the top of this page to view photos from this and other events. 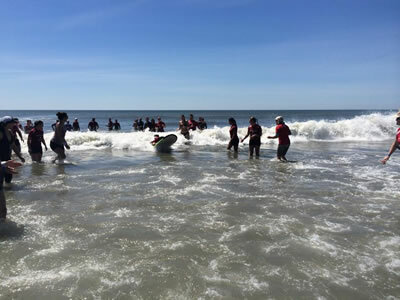 August 16, 2017 - We supported Surfers Healing at their Surf Camp in Ocean City, MD, enriching the lives of people living with autism by exposing them to the unique experience of surfing. 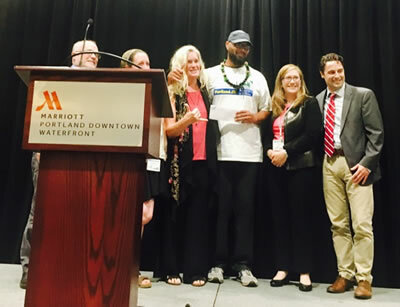 June 20-22, 2017 - An annual membership to APSE was given at the 2017 APSE National Conference in Portland, OR. 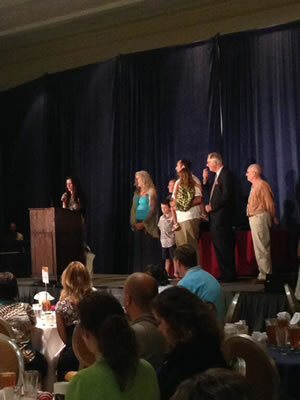 The winner was Mario Roldan De Luna, a graduate student at Western Oregon University. 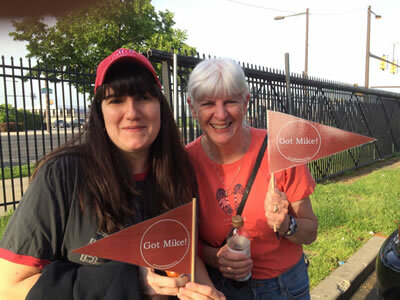 June 21, 2017 - The Got Mike! 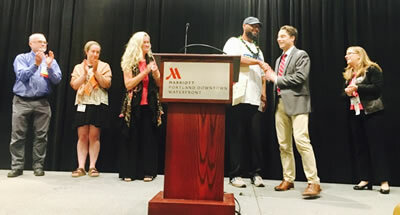 Fund Educational Leadership Award was given to a deserving graduate student at the Award Luncheon of the 2017 APSE National Conference in Portland, OR. 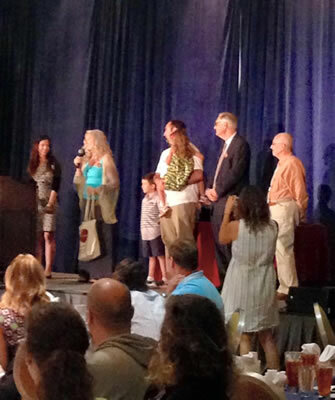 The winner was Richie Thomas, a doctoral student at the University of Oregon. 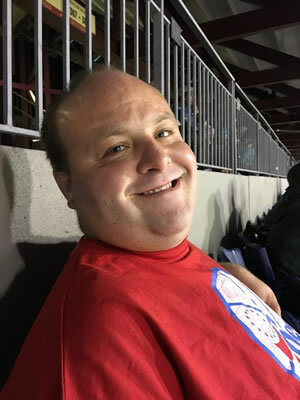 Richie's research focuses on educational and career pathway innovations, inequities of opportunities in under-resourced communities, and how research can be best applied to have a significant impact on educational and vocational practices for individuals with disabilities. Return to the top of this page to view photos from this and other events. 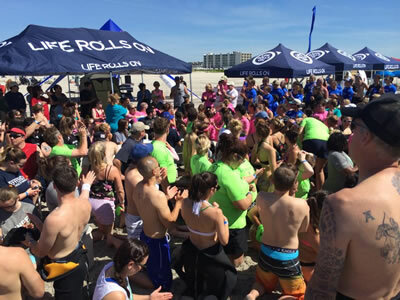 June 18, 2017 - We supported Life Rolls On's They Will Surf Again event at Wildwood Crest, NJ, helping people with spinal cord injuries to experience the freedom of mobility by riding a wave with the assistance of adaptive equipment and the support of hard working volunteers. 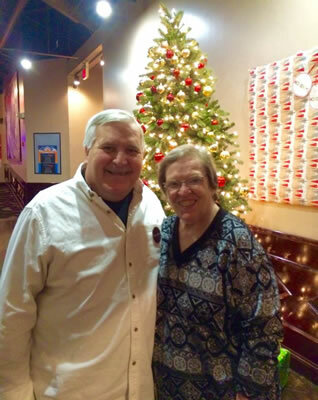 December 27, 2016 - We celebrated the holidays and what would have been Mike's 64th birthday by hosting an afternoon of food and fun for individuals with disabilities and their supporters/families/friends at Dave & Buster's (Franklin Mills) in Philadelphia, PA. 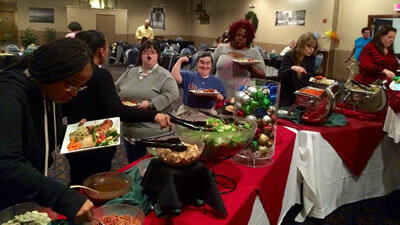 There was lots of good food, games, music, and fun times for all! 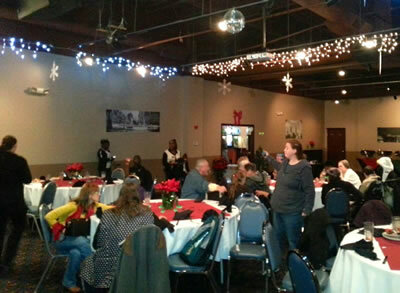 Thanks to all who came out, and we hope to see everyone there again next year! 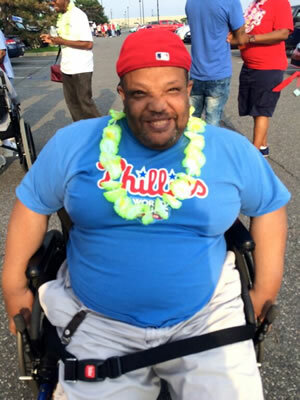 December 21, 2016 - We supported Aquil Nasir in his journey with his love for the Spanish language through tutoring sessions, helping him work toward his ultimate goal of becoming a Spanish-language interpreter. 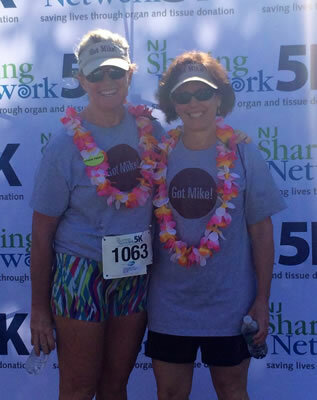 August 21, 2016 - We joined thousands of others celebrating life and the gift of organ and tissue donation by walking, rolling, running, and supporting the NJ Sharing Network's 5k Celebration of Life in Lincroft, NJ. 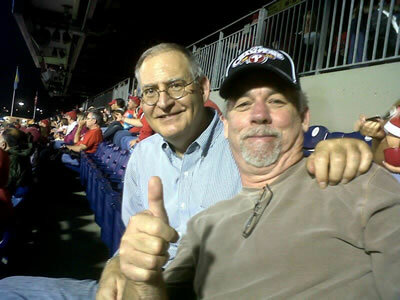 Mike made the ultimate donation through them and saved many. 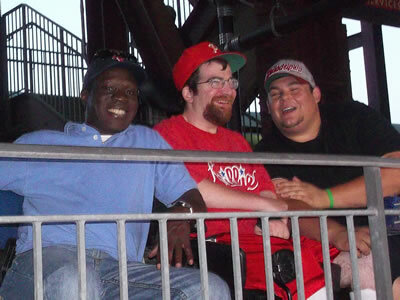 We love this group dearly for all they do and all the support they've given us. 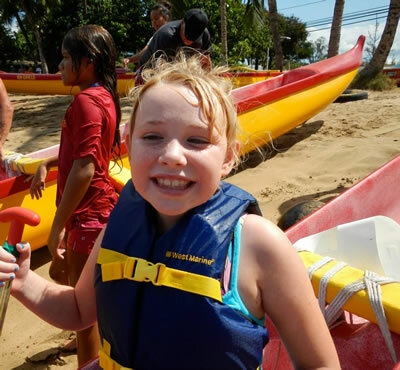 August 15, 2016 - We helped the County of Maui Department of Parks and Recreation, Kihei Canoe Club Halau Maui Nui O’ Kama, and Access Sport America with their Adapted Canoe Practice at the Kihei Canoe Club in Kihei, HI. Held on the 3rd Mon. of each month from 9 - 11 a.m., this is a unique blend of people helping people. 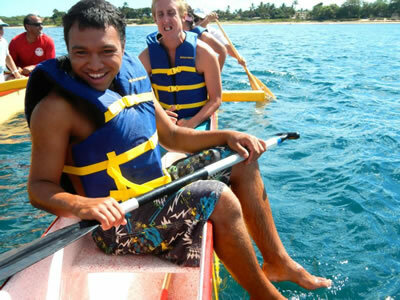 The goal is to continue to encompass life through the Wa’a on all levels from land to sea, to continue to provide recreational opportunities for everyone, to be fully inclusive and create an adaptive environment for successful participation, & to bring full circle the culture of Hawaii to all people. Return to the top of this page to view photos from this and other events. 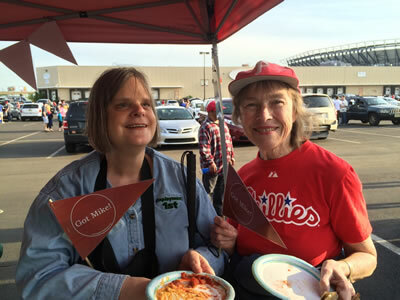 August 13, 2016 - We supported the 35th Annual BAYADA Regatta at the St. Joseph’s University Boathouse along the Schuylkill River in Philadelphia, PA. 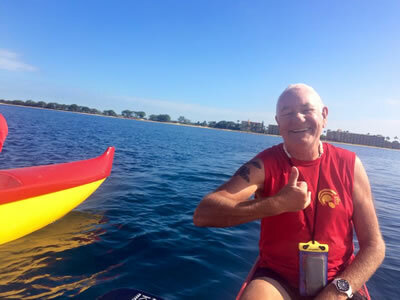 The BAYADA Regatta is the nation’s oldest and largest all-adaptive rowing competition for athletes with physical disabilities. 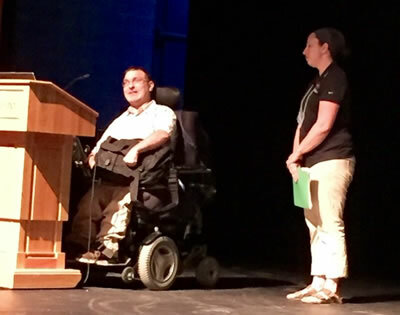 June 28, 2016 - Our Job Coach Award was given at The Northumberland County Employment Symposium - "Spreading the Spark: Employment 1st!" 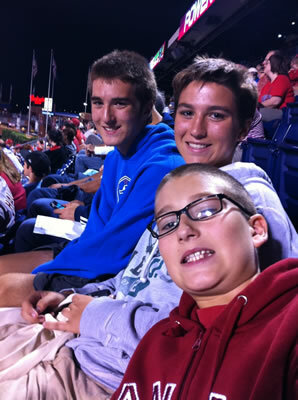 in Selinsgrove, PA. 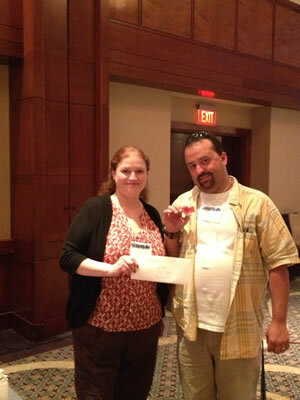 The winner was Brian Habermehl from The Arc of Susquehanna Valley. Return to the top of this page to view photos from this and other events. 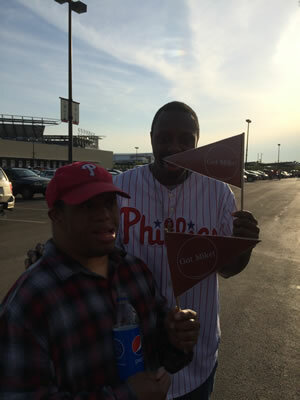 June 23, 2016 - The Got Mike! 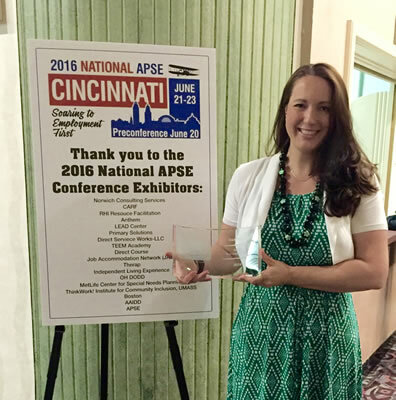 Fund Educational Leadership Award was given to a deserving graduate student at the 2016 APSE National Conference in Cincinnati, OH. 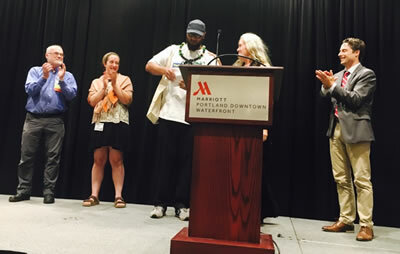 The winner was Kelly Nye-Lengerman, a doctoral student at the University of Minnesota, who works as Project Coordinator at the Research and Training Center on Community Living. 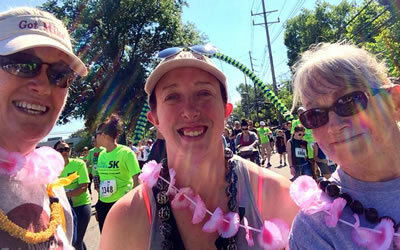 Kelly also serves on the Think Work project team with the University of Massachusetts, Boston, while working with the Association of University Centers on Disabilities’ PROMISE Technical Assistance Center and the MN Employment First Coalition, and serving as co-president of the MN APSE chapter. Return to the top of this page to view photos from this and other events. 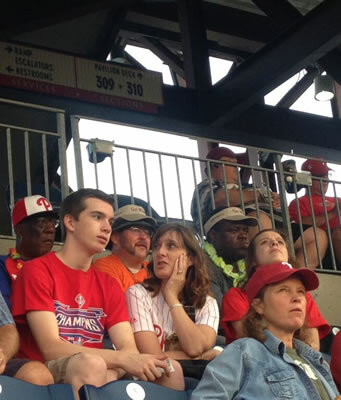 May 20, 2016 - We joined friends and supporters at Citizens Bank Park in Philadelphia, PA, to watch the Phillies take on the Atlanta Braves. 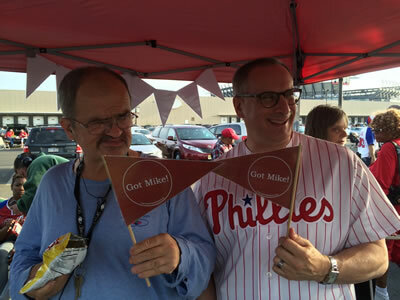 The Phillies lost the game, but their better-than-predicted season continues, and we had lots of fun while raising awareness of the Fund and increasing the Fund's $$ to help others. 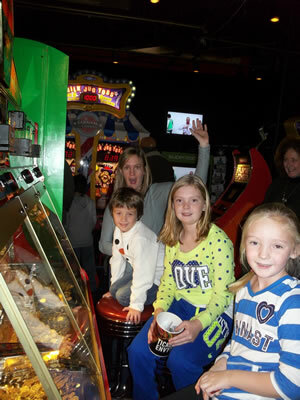 Thanks to everyone who attended and supported this fun event, and we hope to see you there again next year! Return to the top of this page to view photos from this and other events. 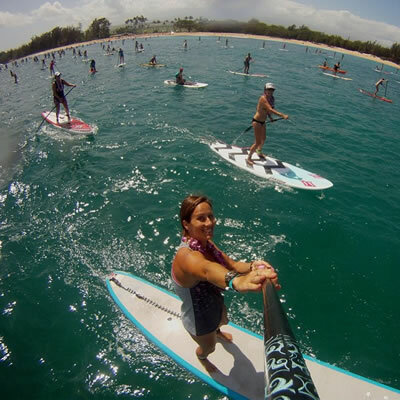 April 16, 2016 - We supported the 10th Annual Butterfly Effect Maui, which went from Paia Bay to Kanaha Beach on Maui, HI, and featured a stand up paddle / kayak / canoe downwind paddle and a beach festival. 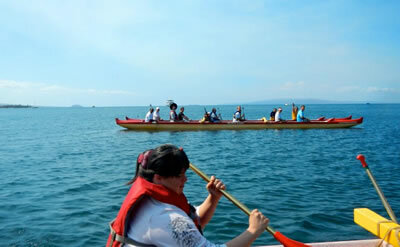 And for the 10-Year Celebration, the week leading up to the event was full of various fitness and water sport activities! 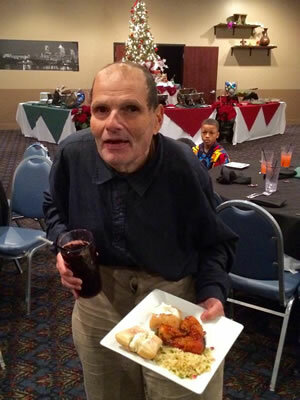 December 27, 2015 - We celebrated the holidays and what would have been Mike's 63rd birthday by hosting an afternoon of food and fun for individuals with disabilities and their supporters/families/friends at Dave & Buster's (Franklin Mills) in Philadelphia, PA. 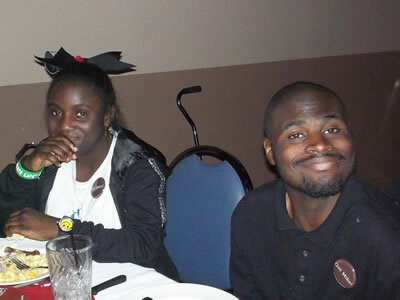 There was lots of good food, games, music, and fun times for all! 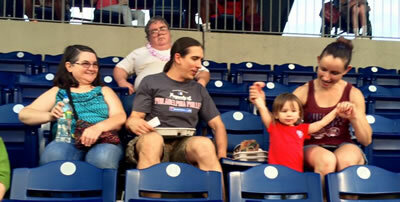 Thanks to all who came out, and we hope to see everyone there again next year! Return to the top of this page to view photos from this and other events. 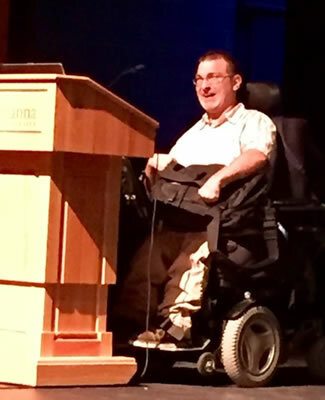 November 10, 2015 - We supported filmmaker David Block's efforts to produce a documentary about "how therapy horses help people with physical and emotional challenges raise their self- esteem and enjoy an improved quality of life." 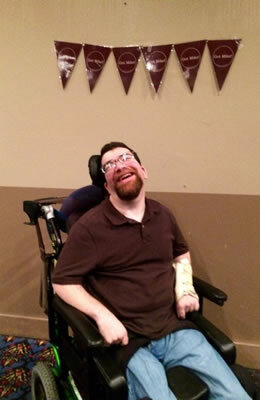 David is legally blind and has made six previous documentaries. 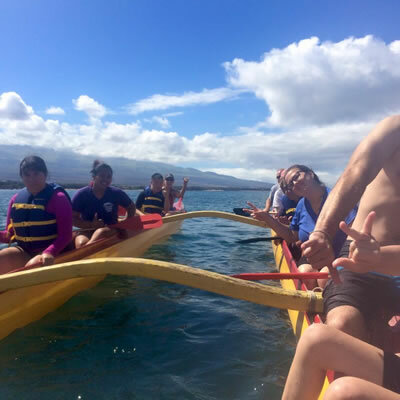 October 19, 2015 - We helped the County of Maui Department of Parks and Recreation, Kihei Canoe Club Halau Maui Nui O’ Kama, and Access Sport America with their Adapted Canoe Practice at the Kihei Canoe Club in Kihei, HI. Held on the 3rd Mon. of each month from 9 - 11 a.m., this is a unique blend of people helping people. 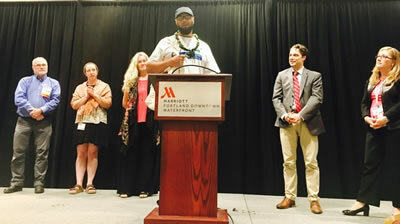 The goal is to continue to encompass life through the Wa’a on all levels from land to sea, to continue to provide recreational opportunities for everyone, to be fully inclusive and create an adaptive environment for successful participation, & to bring full circle the culture of Hawaii to all people. Return to the top of this page to view photos from this and other events. 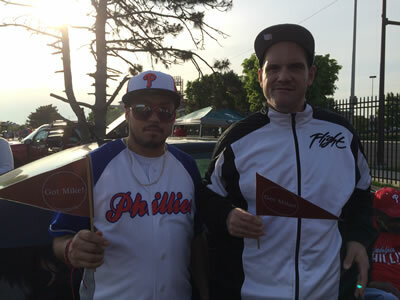 August 15, 2015 - We supported the 34th Annual BAYADA Regatta at the St. Joseph’s University Boathouse along the Schuylkill River in Philadelphia, PA. 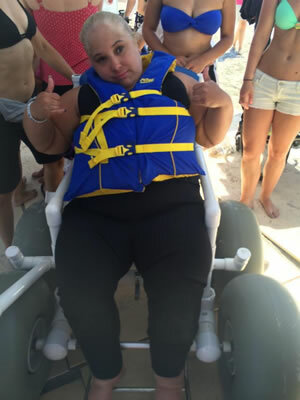 The BAYADA Regatta is the nation’s oldest and largest all-adaptive rowing competition for athletes with physical disabilities. 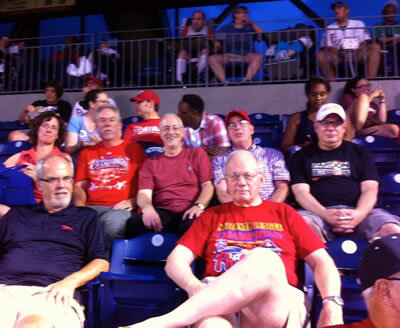 June 26, 2015 - We joined friends and supporters at Citizens Bank Park in Philadelphia, PA, to watch the Phillies take on the Washington Nationals. 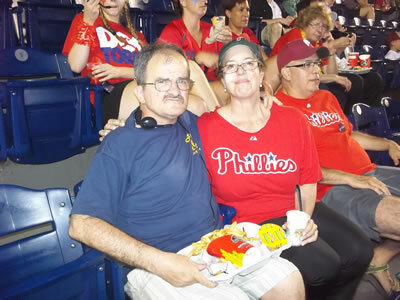 The Phillies lost the game, but there were some exciting moments and lots of fun for all involved, and we continued to raise awareness of the Fund and increase the Fund's $$ to help others. 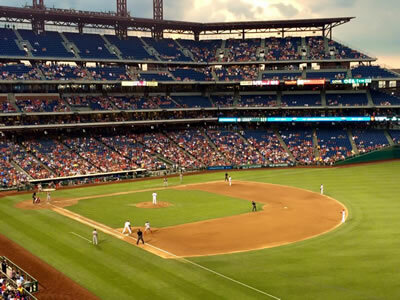 We even sold out of tickets for this year's event a month before the game! 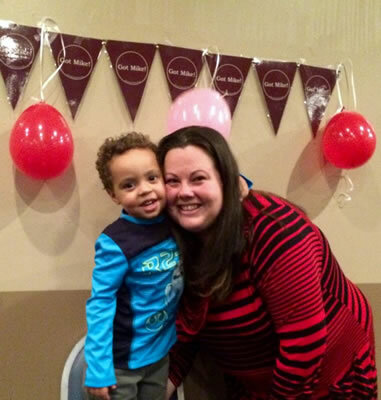 Thanks to everyone who attended and supported this fun event! Return to the top of this page to view photos from this and other events. 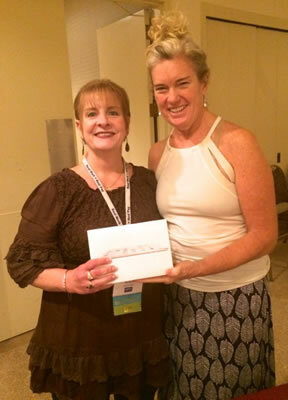 June 24-25, 2015 - Two iPad Minis were given at the 2015 APSE National Conference in Philadelphia, PA to individuals who could use the technology to improve employment opportunities. Return to the top of this page to view photos from this and other events. 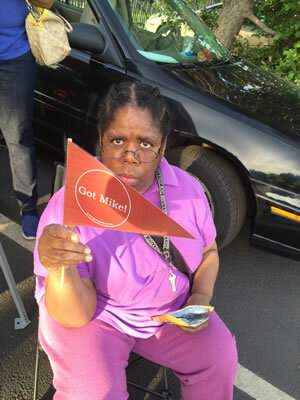 June 24, 2015 - The Got Mike! 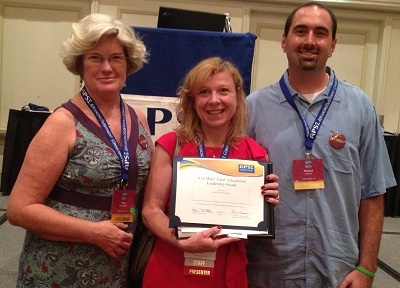 Fund Educational Leadership Award was given to a deserving graduate student at 2015 APSE National Conference in Philadelphia, PA. 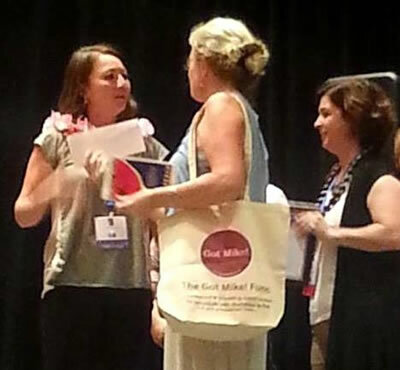 The winner was Iva Kolarov, a doctoral student at The Chicago School of Professional Psychology, who works for National-Louis University’s PACE Program. 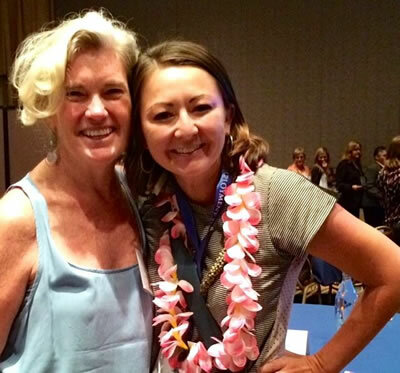 Iva has a strong vision for expanding the reach of the Employment First initiative, and she has a history of making improvements in educational and employment services for individuals with disabilities. Return to the top of this page to view photos from this and other events. 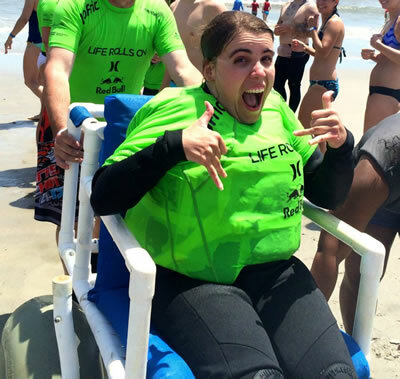 June 21, 2015 - We supported Life Rolls On in their They Will Surf Again event at Wildwood Crest, NJ, helping people with spinal cord injuries to experience the freedom of mobility by riding a wave with the assistance of adaptive equipment and the support of hard working volunteers. 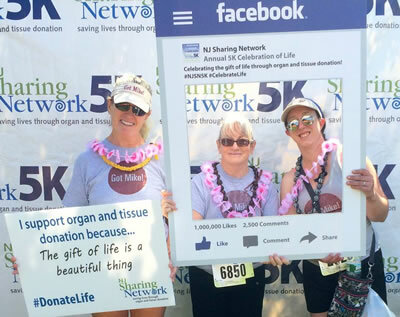 June 7, 2015 - We joined thousands of others celebrating life and the gift of organ and tissue donation by walking, rolling, running, and supporting the NJ Sharing Network's 5th annual 5k in New Providence, NJ. 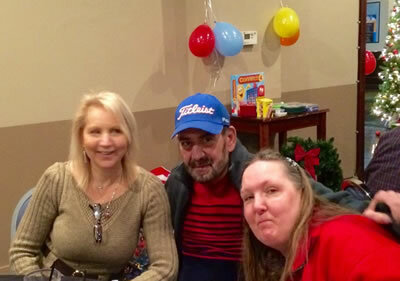 Mike made the ultimate donation through them and saved many. 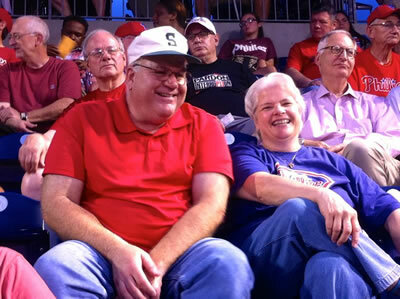 We love this group dearly for all they do and all the support they've given us. Return to the top of this page to view photos from this and other events. 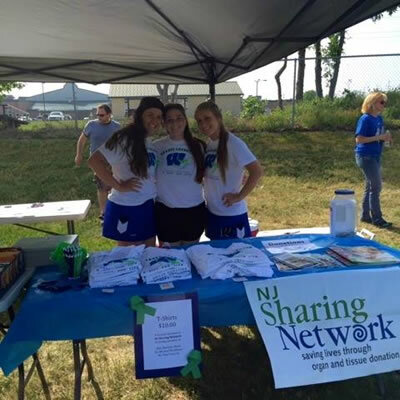 May 19, 2015 - We supported the "donor game" at Williamstown High School in Williamstown, NJ, a lacrosse game to raise funds and awareness for organ donation via the NJ Sharing Network. 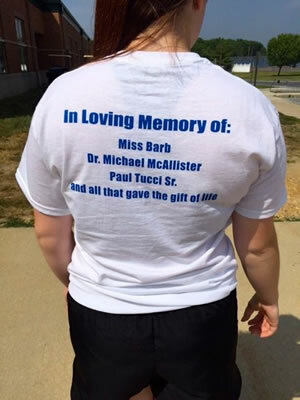 This event was organized by Sarah Tucci, in memory of her Great Uncle Michael and her Grandfather Paul. Return to the top of this page to view photos from this and other events. 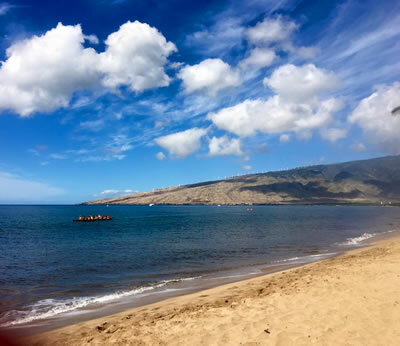 April 25, 2015 - We supported the 9th Annual Butterfly Effect Maui, which went from Baldwin Beach to Kanaha Beach on Maui, HI, and featured a stand up paddle / kayak / canoe downwind paddle, a commmunity beach clean-up, and a beach festival. 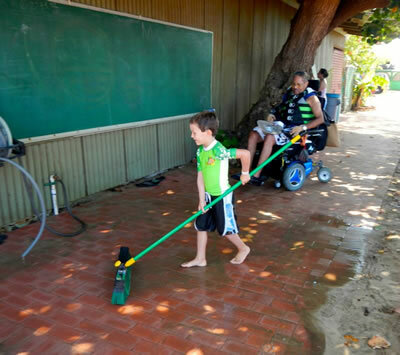 For more info about this and other Butterfly Effect events, please visit http://betheeffect.com/maui-2015/. Return to the top of this page to view photos from this and other events. 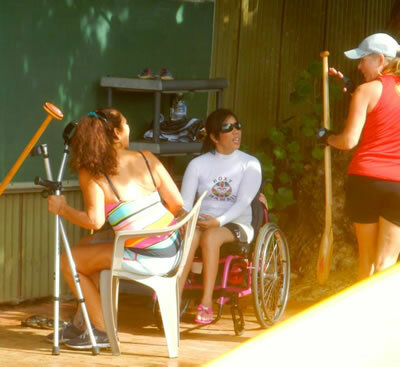 April 20, 2015 - We helped the County of Maui Department of Parks and Recreation, Kihei Canoe Club Halau Maui Nui O’ Kama, and Access Sport America with their Adapted Canoe Practice at the Kihei Canoe Club in Kihei, HI. Held on the 3rd Mon. of each month from 9 - 11 a.m., this is a unique blend of people helping people. 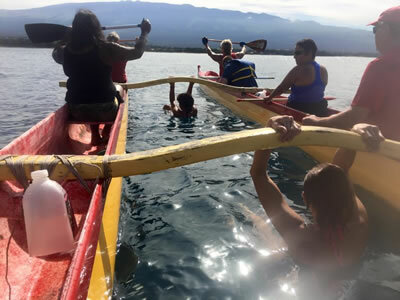 The goal is to continue to encompass life through the Wa’a on all levels from land to sea, to continue to provide recreational opportunities for everyone, to be fully inclusive and create an adaptive environment for successful participation, & to bring full circle the culture of Hawaii to all people. Return to the top of this page to view photos from this and other events. 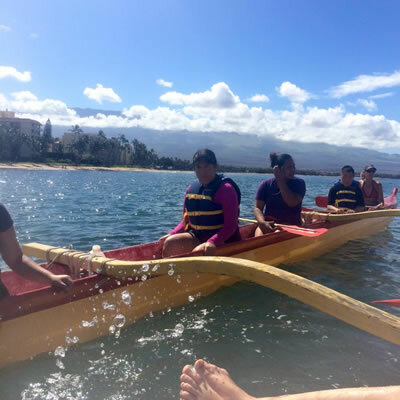 March 16, 2015 - We helped the County of Maui Department of Parks and Recreation, Kihei Canoe Club Halau Maui Nui O’ Kama, and Access Sport America with their Adapted Canoe Practice at the Kihei Canoe Club in Kihei, HI. Held on the 3rd Mon. 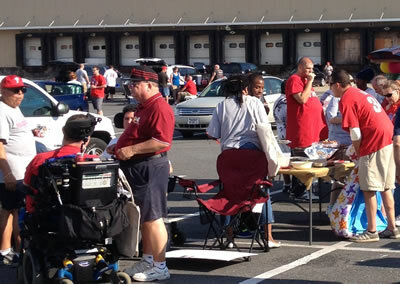 of each month from 9 - 11 a.m., this is a unique blend of people helping people. 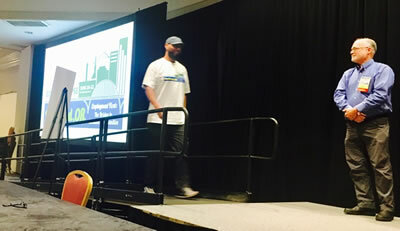 The goal is to continue to encompass life through the Wa’a on all levels from land to sea, to continue to provide recreational opportunities for everyone, to be fully inclusive and create an adaptive environment for successful participation, & to bring full circle the culture of Hawaii to all people. Return to the top of this page to view photos from this and other events. 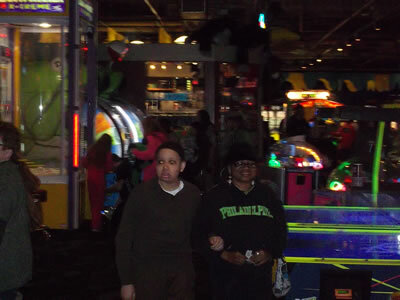 December 27, 2014 - We celebrated the holidays and what would have been Mike's 62nd birthday by hosting an afternoon of food and fun for individuals with disabilities and their supporters/families/friends at Dave & Buster's (Franklin Mills) in Philadelphia, PA. 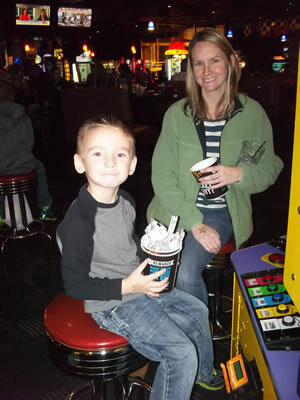 There was lots of good food, games, live music by The Kramer Brothers, and fun times for all! 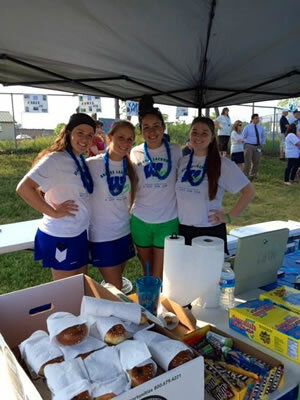 Thanks to all who came out, and we hope to see everyone there again next year! Return to the top of this page to view photos from this and other events. 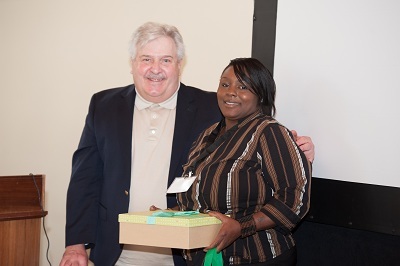 October 17, 2014 - An iPad was given to a local job coach at the Employment 1st Stakeholders luncheon in Philadelphia, PA. 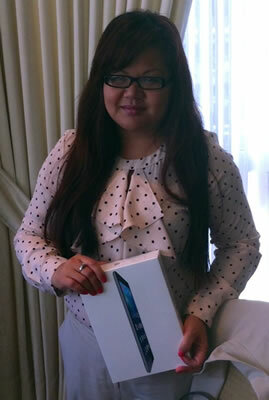 The winner was Shannon Nuon from Catch, Inc. Return to the top of this page to view photos from this and other events. 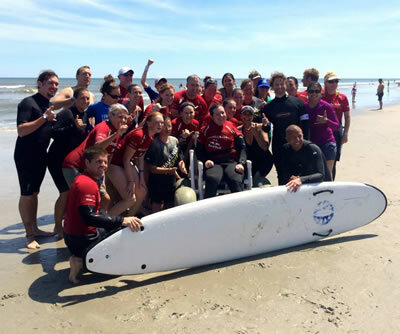 September 7, 2014 - We supported Surfers Healing at their Surf Camp in Belmar, NJ. 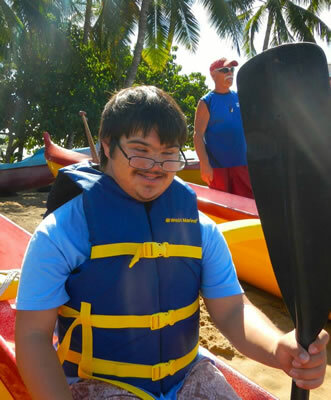 August 18, 2014 - We helped the County of Maui Department of Parks and Recreation, Kihei Canoe Club Halau Maui Nui O’ Kama, and Access Sport America with their Adapted Canoe Practice at the Kihei Canoe Club in Kihei, HI. Held on the 3rd Mon. 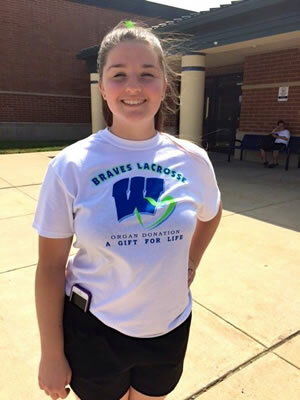 of each month from 9 - 11 a.m., this is a unique blend of people helping people. 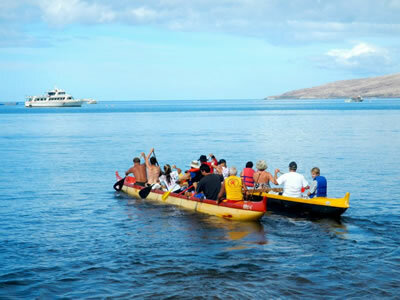 The goal is to continue to encompass life through the Wa’a on all levels from land to sea, to continue to provide recreational opportunities for everyone, to be fully inclusive and create an adaptive environment for successful participation, & to bring full circle the culture of Hawaii to all people. Return to the top of this page to view photos from this and other events. 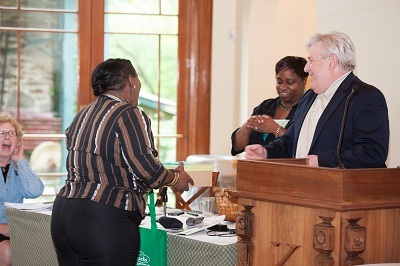 August 16, 2014 - We supported the 33rd Annual BAYADA Regatta at the St. Joseph’s University Boathouse along the Schuylkill River in Philadelphia, PA. 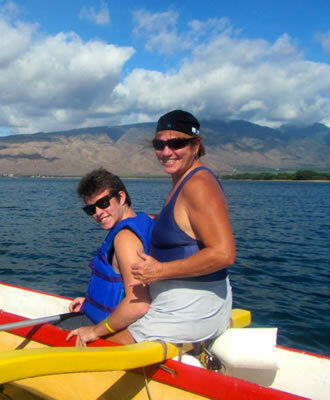 The BAYADA Regatta is the nation’s oldest and largest all-adaptive rowing competition for athletes with physical disabilities. 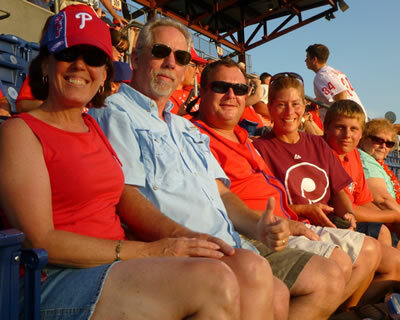 August 5, 2014 - We joined friends and supporters at Citizens Bank Park in Philadelphia, PA, to watch the Phillies take on the Houston Astros. 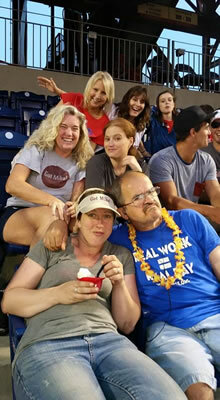 It was a fun time for all, we continued to raise awareness of the Fund and increase the Fund's $$ to help others, and the Phillies even won! 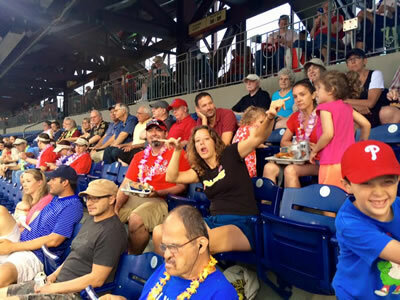 Thanks to everyone who came out for the game, those who donated tickets, and those who helped spread the word about this fun event! Return to the top of this page to view photos from this and other events. 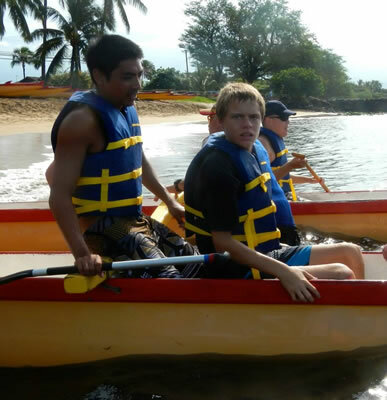 July 21, 2014 - We helped the County of Maui Department of Parks and Recreation, Kihei Canoe Club Halau Maui Nui O’ Kama, and Access Sport America with their Adapted Canoe Practice at the Kihei Canoe Club in Kihei, HI. Held on the 3rd Mon. of each month from 9 - 11 a.m., this is a unique blend of people helping people. 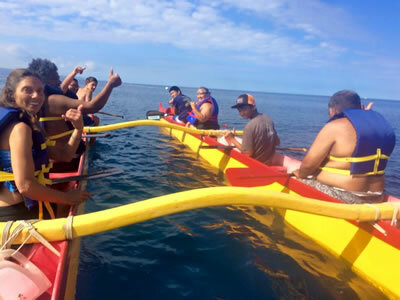 The goal is to continue to encompass life through the Wa’a on all levels from land to sea, to continue to provide recreational opportunities for everyone, to be fully inclusive and create an adaptive environment for successful participation, & to bring full circle the culture of Hawaii to all people. Return to the top of this page to view photos from this and other events. 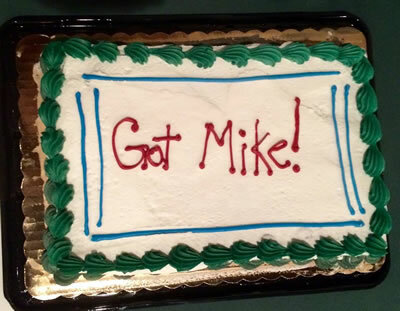 July 2, 2014 - The Got Mike! 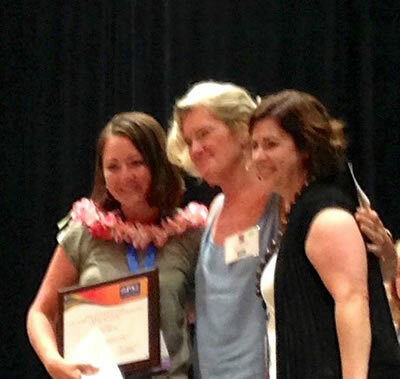 Fund Educational Leadership Award was given to a deserving graduate student at the 2014 APSE National Conference in Long Beach, CA. 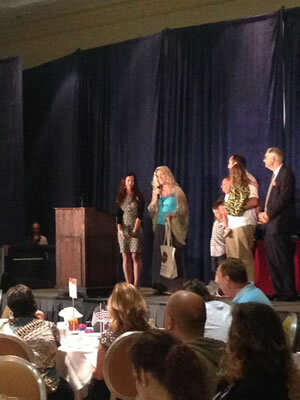 The winner was Melissa Hough, a graduate student at San Diego State University. 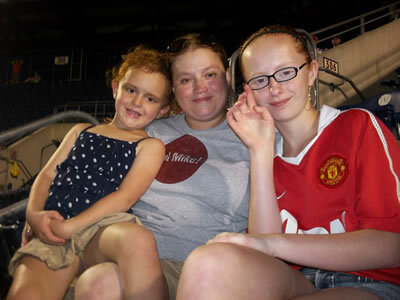 Melissa believes in everyone being employable with the right accommodation and the right attitude. 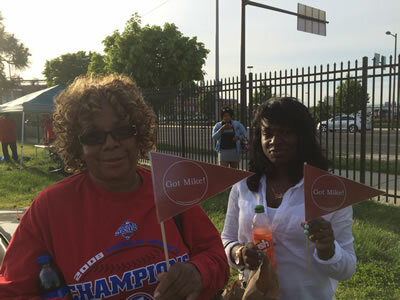 She understands the value of employment for individual’s self-concept, pride, and ability to contribute to their communities. 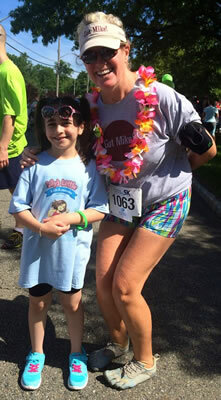 Melissa truly “walks the talk” of customized employment. 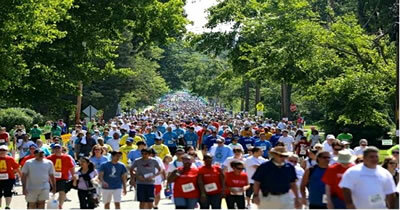 Return to the top of this page to view photos from this and other events. 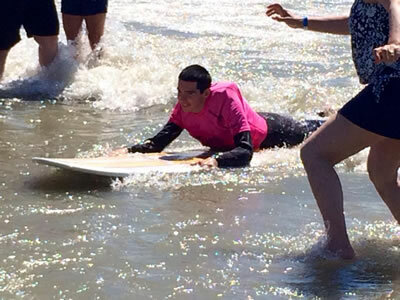 June 15, 2014 - We supported Life Rolls On in their They Will Surf Again event at Wildwood Crest, NJ, helping people with spinal cord injuries to experience the freedom of mobility by riding a wave with the assistance of adaptive equipment and the support of hard working volunteers. Return to the top of this page to view photos from this and other events. 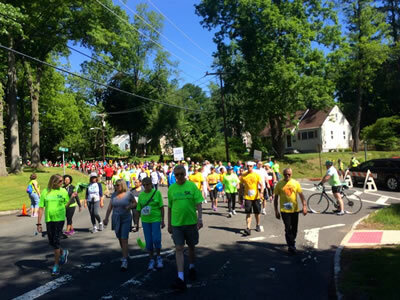 June 8, 2014 - We joined thousands of others celebrating life by walking, rolling, running, or just supporting the NJ Sharing Network's annual 5k in New Providence, NJ. 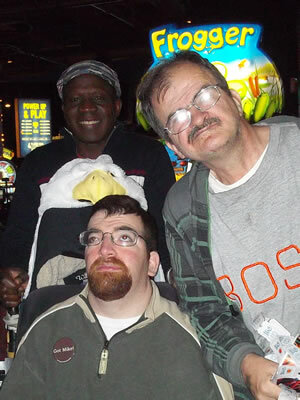 Mike made the ultimate donation through them and saved many. 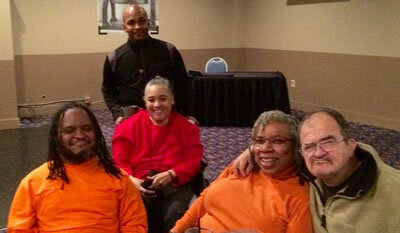 We love this group dearly for all they do and all the support they've given us. Return to the top of this page to view photos from this and other events. 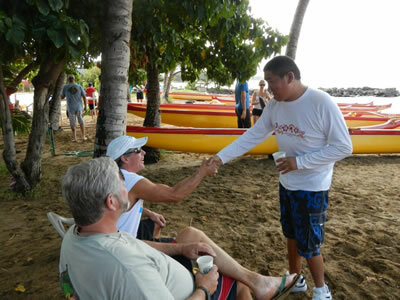 April 26, 2014 - We supported the 8th Annual Butterfly Effect Maui, which went from Baldwin Beach to Kanaha Beach on Maui, HI, and featured a stand up paddle / kayak / canoe downwind paddle, a commmunity beach clean-up, and a beach festival. 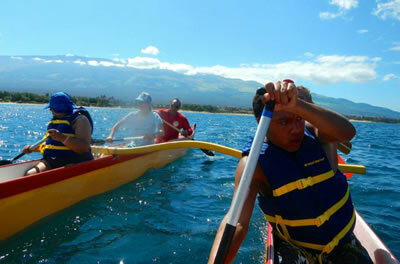 For more info about this and other Butterfly Effect events, please visit http://betheeffect.com/maui-2014/. 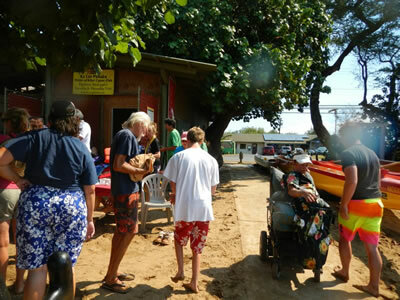 April 22, 2014 - We supported the Butterfly Effect's Opening Ceremony at Flatbread Pizza in Paia, HI. 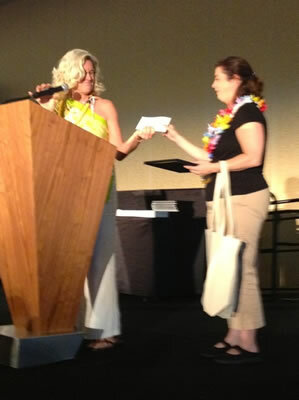 The event included a silent auction and food drive for the Maui Food Bank. 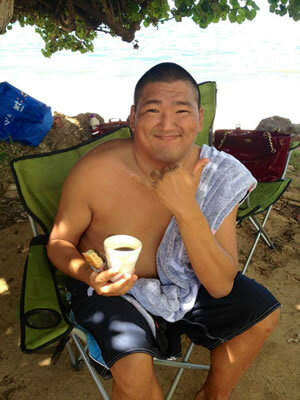 For more info about this and other Butterfly Effect events, please visit http://betheeffect.com/maui-2014/. 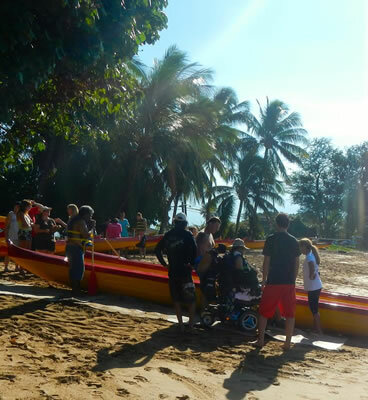 April 21, 2014 - We helped the County of Maui Department of Parks and Recreation, Kihei Canoe Club Halau Maui Nui O’ Kama, and Access Sport America with their Adapted Canoe Practice at the Kihei Canoe Club in Kihei, HI. Held on the 3rd Mon. 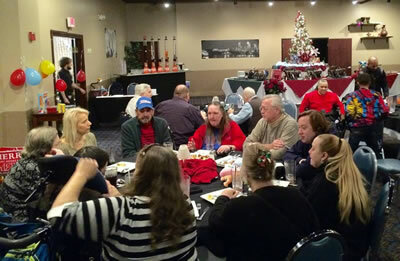 of each month from 9 - 11 a.m., this is a unique blend of people helping people. 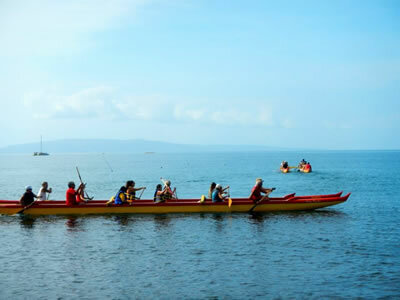 The goal is to continue to encompass life through the Wa’a on all levels from land to sea, to continue to provide recreational opportunities for everyone, to be fully inclusive and create an adaptive environment for successful participation, & to bring full circle the culture of Hawaii to all people. 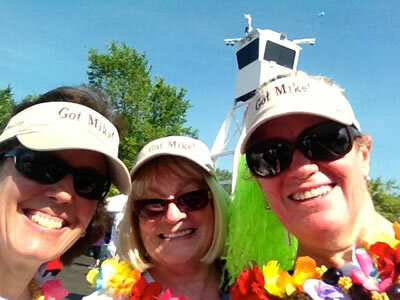 April 11, 2014 - The Got Mike! 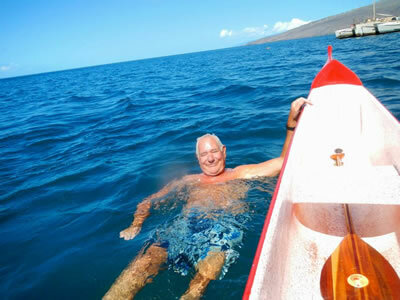 Fund was highlighted by Island Spirit Yoga at Second Friday Nia Night in Lahaina, HI. 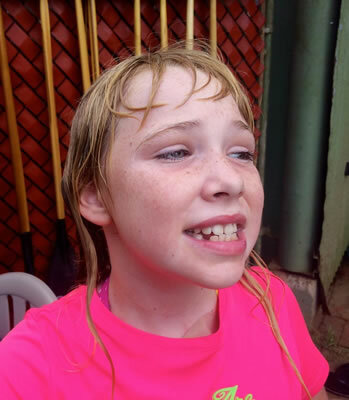 Donations were collected to help us continue our work on Maui, in PA, and elsewhere! 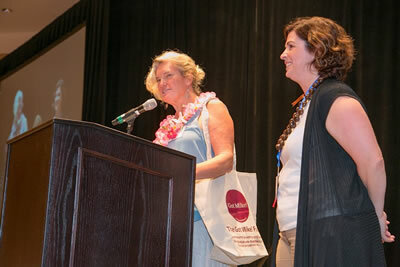 Mahalo (thanks) to Jennifer Loftus and Island Spirit Yoga! 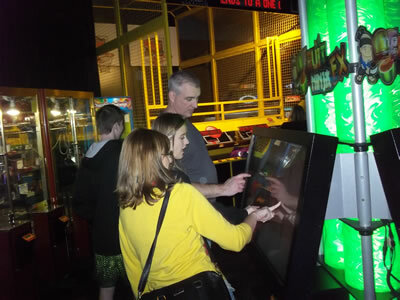 December 27, 2013 - We celebrated the holidays and what would have been Mike's 61st birthday with numerous friends, family, and supporters at Dave & Buster's (Franklin Mills) in Philadelphia, PA. Lots of good food, games, music, stories, and fun times for all! 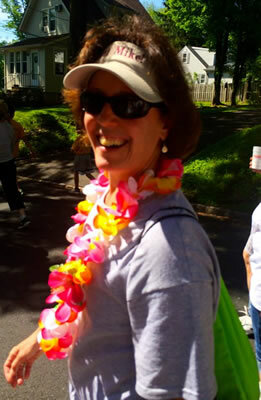 Thanks to all who came out, and we hope to see everyone there again next year! Return to the top of this page to view photos from this and other events. 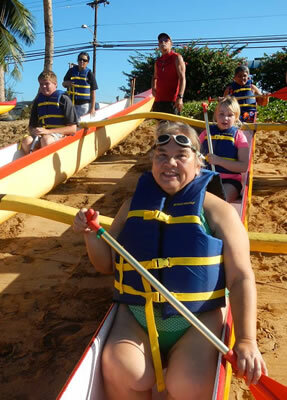 December 16, 2013 - We helped the County of Maui Department of Parks and Recreation, Kihei Canoe Club Halau Maui Nui O’ Kama, and Access Sport America with their Adapted Canoe Practice at the Kihei Canoe Club in Kihei, HI. Held on the 3rd Mon. 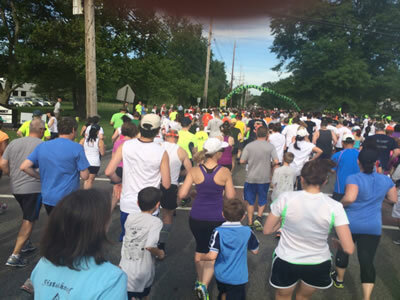 of each month from 9 - 11 a.m., this is a unique blend of people helping people. 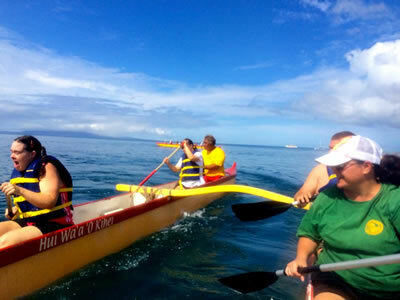 The goal is to continue to encompass life through the Wa’a on all levels from land to sea, to continue to provide recreational opportunities for everyone, to be fully inclusive and create an adaptive environment for successful participation, & to bring full circle the culture of Hawaii to all people. Return to the top of this page to view photos from this and other events. 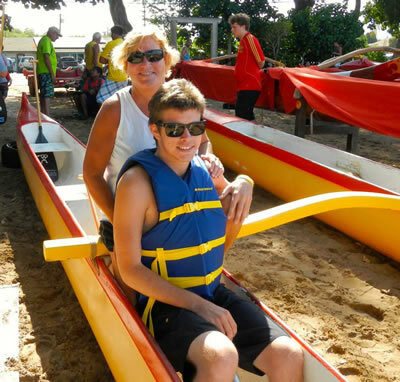 November 18, 2013 - We helped the County of Maui Department of Parks and Recreation, Kihei Canoe Club Halau Maui Nui O’ Kama, and Access Sport America with their Adapted Canoe Practice at the Kihei Canoe Club in Kihei, HI. Held on the 3rd Mon. of each month from 9 - 11 a.m., this is a unique blend of people helping people. 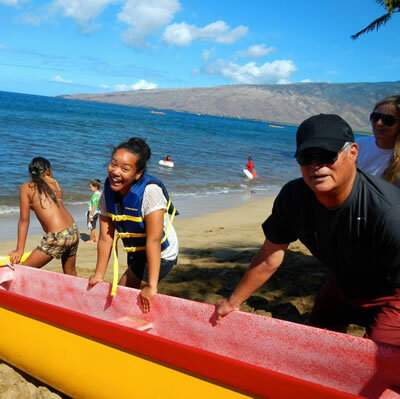 The goal is to continue to encompass life through the Wa’a on all levels from land to sea, to continue to provide recreational opportunities for everyone, to be fully inclusive and create an adaptive environment for successful participation, & to bring full circle the culture of Hawaii to all people. Return to the top of this page to view photos from this and other events. 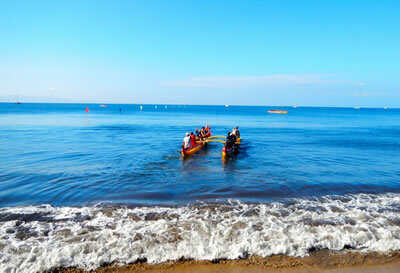 October 21, 2013 - We helped the County of Maui Department of Parks and Recreation, Kihei Canoe Club Halau Maui Nui O’ Kama, and Access Sport America with their Adapted Canoe Practice at the Kihei Canoe Club in Kihei, HI. 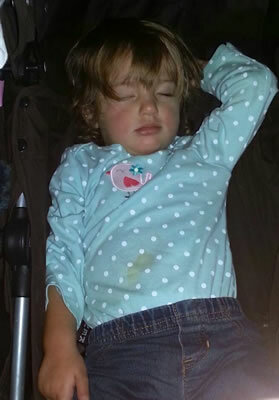 Held on the 3rd Mon. of each month from 9 - 11 a.m., this is a unique blend of people helping people. 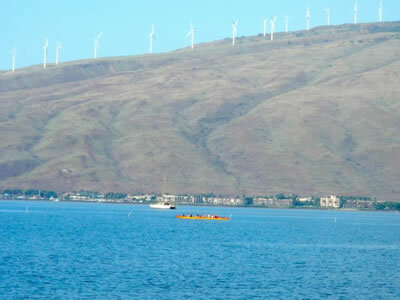 The goal is to continue to encompass life through the Wa’a on all levels from land to sea, to continue to provide recreational opportunities for everyone, to be fully inclusive and create an adaptive environment for successful participation, & to bring full circle the culture of Hawaii to all people. Return to the top of this page to view photos from this and other events. 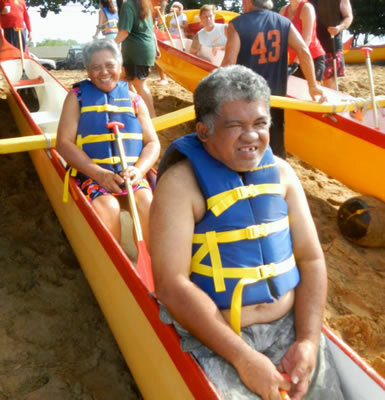 September 16, 2013 - We helped the County of Maui Department of Parks and Recreation, Kihei Canoe Club Halau Maui Nui O’ Kama, and Access Sport America with their Adapted Canoe Practice at the Kihei Canoe Club in Kihei, HI. Held on the 3rd Mon. 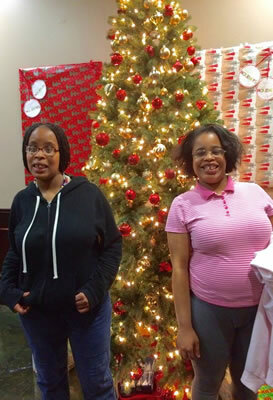 of each month from 9 - 11 a.m., this is a unique blend of people helping people. 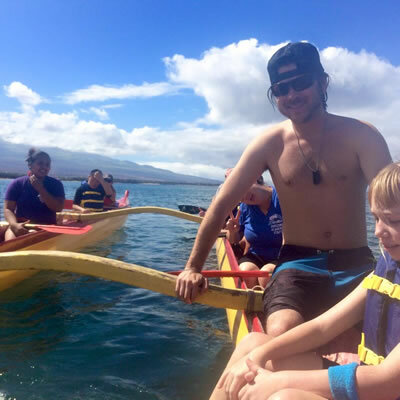 The goal is to continue to encompass life through the Wa’a on all levels from land to sea, to continue to provide recreational opportunities for everyone, to be fully inclusive and create an adaptive environment for successful participation, & to bring full circle the culture of Hawaii to all people. Return to the top of this page to view photos from this and other events. 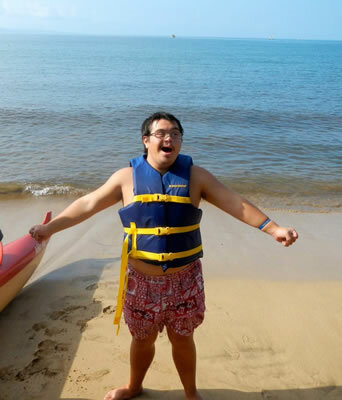 August 19, 2013 - We helped the County of Maui Department of Parks and Recreation, Kihei Canoe Club Halau Maui Nui O’ Kama, and Access Sport America with their Adapted Canoe Practice at the Kihei Canoe Club in Kihei, HI. 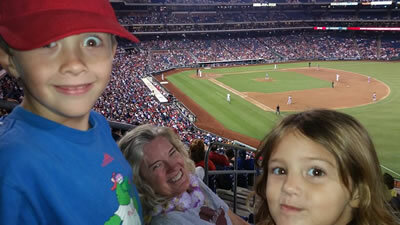 Held on the 3rd Mon. of each month from 9 - 11 a.m., this is a unique blend of people helping people. 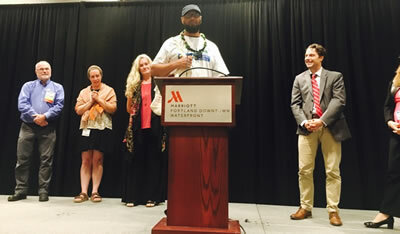 The goal is to continue to encompass life through the Wa’a on all levels from land to sea, to continue to provide recreational opportunities for everyone, to be fully inclusive and create an adaptive environment for successful participation, & to bring full circle the culture of Hawaii to all people. Return to the top of this page to view photos from this and other events. 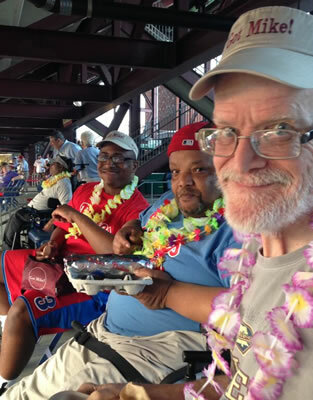 August 17, 2013 - We supported the 32nd Annual BAYADA Regatta at the St. Joseph’s University Boathouse along the Schuylkill River in Philadelphia, PA. 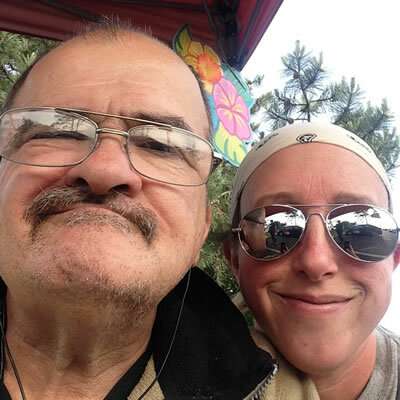 The BAYADA Regatta is the nation’s oldest and largest all-adaptive rowing competition for athletes with physical disabilities. 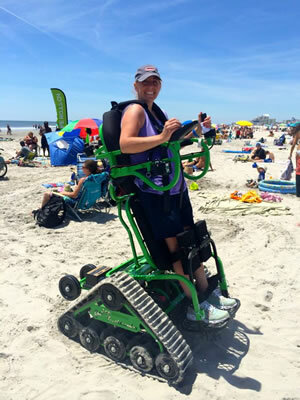 August 10, 2013 - We supported Life Rolls On in their They Will Surf Again event at Virginia Beach, VA, helping people with spinal cord injuries to experience the freedom of mobility by riding a wave with the assistance of adaptive equipment and the support of hard working volunteers. 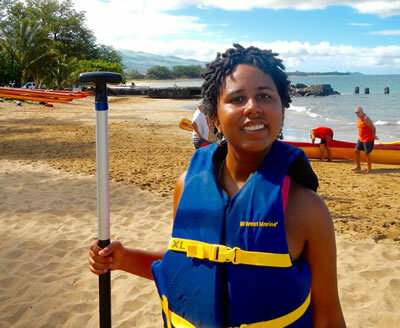 July 15, 2013 - We helped the County of Maui Department of Parks and Recreation, Kihei Canoe Club Halau Maui Nui O’ Kama, and Access Sport America with their Adapted Canoe Practice at the Kihei Canoe Club in Kihei, HI. Held on the 3rd Mon. 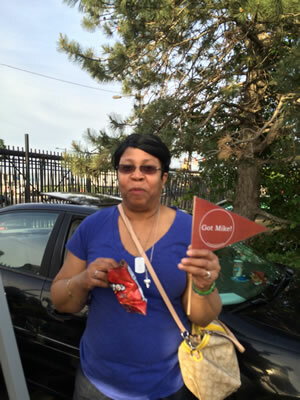 of each month from 9 - 11 a.m., this is a unique blend of people helping people. 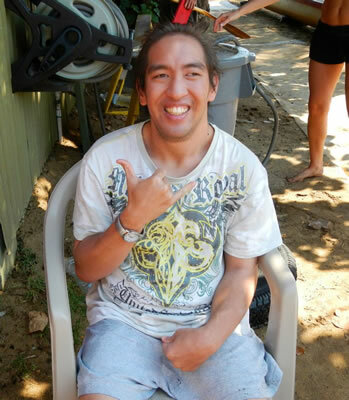 The goal is to continue to encompass life through the Wa’a on all levels from land to sea, to continue to provide recreational opportunities for everyone, to be fully inclusive and create an adaptive environment for successful participation, & to bring full circle the culture of Hawaii to all people. Return to the top of this page to view photos from this and other events. 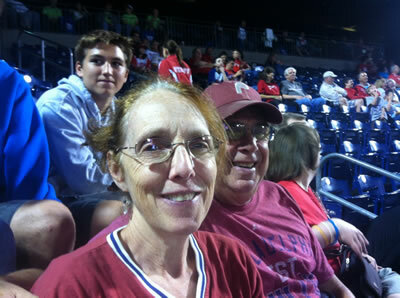 July 8, 2013 - We joined friends and supporters at Citizens Bank Park in Philadelphia, PA, to watch the Phillies take on the Washington Nationals. 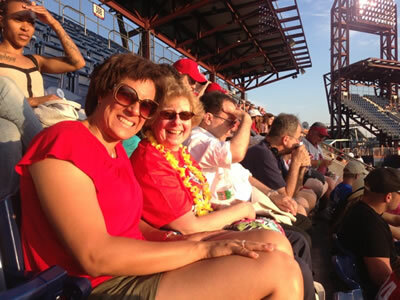 The Phillies won, the weather cooperated, everyone had a great time, and we continued to raise awareness of the Fund and increase the Fund's $$ to help others! 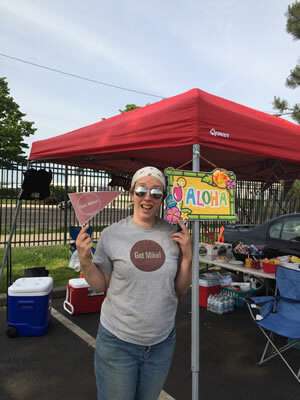 Thanks to everyone who came out for the game, as well as to those who donated tickets and those who helped spread the word about this fun event! Return to the top of this page to view photos from this and other events. 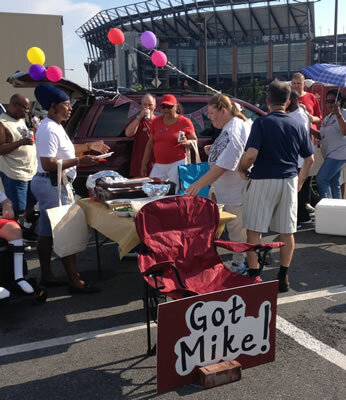 June 26, 2013 - The Got Mike! 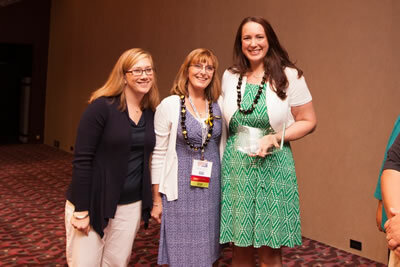 Fund Educational Leadership Award was given to a deserving doctoral student at the 2013 APSE National Conference in Indianapolis, IN. 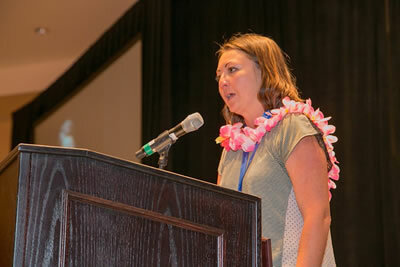 The winner was Julie Christensen, a Ph.D. student at the University of Rochester. 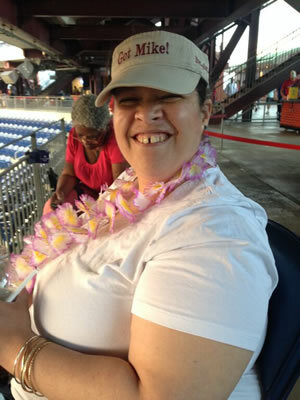 Julie is an amazing young woman doing great work in New York to help set policy regarding increasing employment opportunities for people with disabilities, and she said what an honor it was to "walk with Mike" and promised to "do Mike proud". We're sure she will! Return to the top of this page to view photos from this and other events. 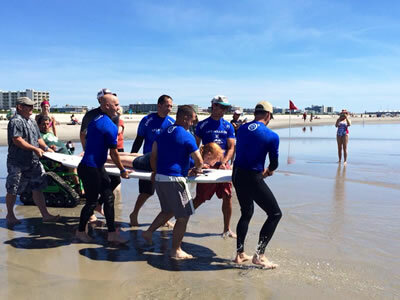 June 15, 2013 - We supported Life Rolls On in their They Will Surf Again event at Wildwood Crest, NJ, helping people with spinal cord injuries to experience the freedom of mobility by riding a wave with the assistance of adaptive equipment and the support of hard working volunteers. 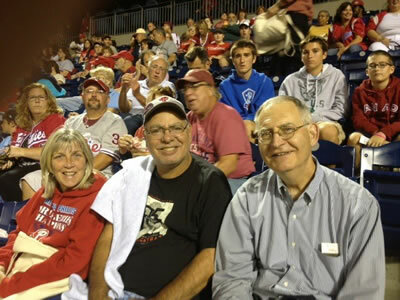 Wildwood is where Mike surfed as a teenager...he was surely there in spirit! 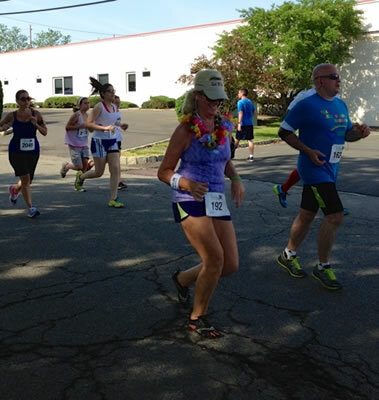 June 9, 2013 - We participated in the New Jersey Sharing Network 5k Run in New Providence, NJ, which raised funds for organ donation services. 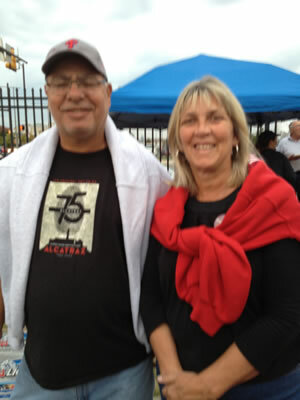 Mike was an organ donor and was able to help several families after his death because of this great organization. Return to the top of this page to view photos from this and other events. 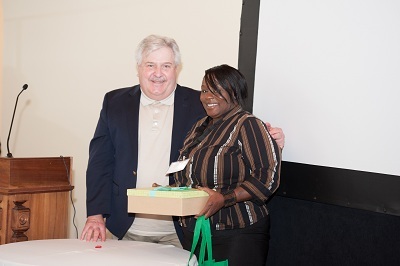 May 22, 2013 - An iPad was given to a local job coach at the 14th Employment Supports Symposium in Philadelphia, PA. 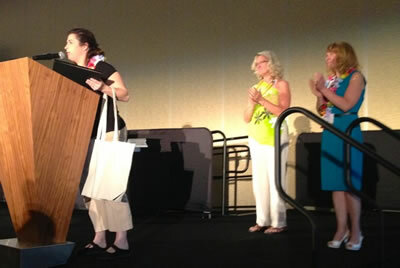 The winner was Monique Thomas from KenCrest. 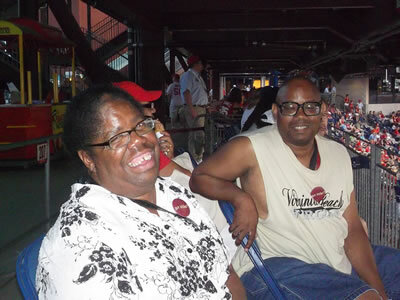 We also gave away 2 tickets to our upcoming Phillies Night. 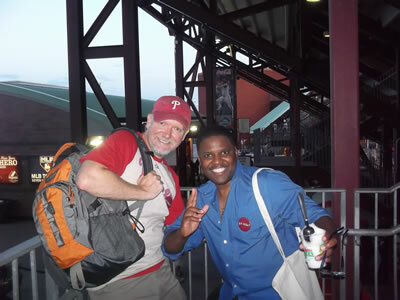 Return to the top of this page to view photos from this and other events. 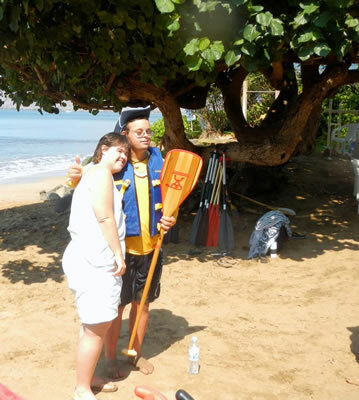 May 20, 2013 - We helped the County of Maui Department of Parks and Recreation, Kihei Canoe Club Halau Maui Nui O’ Kama, and Access Sport America with their Adapted Canoe Practice at the Kihei Canoe Club in Kihei, HI. 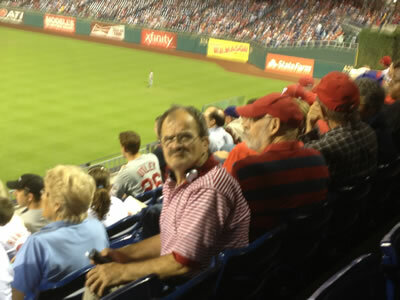 Held on the 3rd Mon. 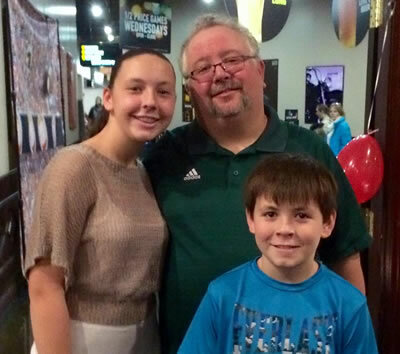 of each month from 9 - 11 a.m., this is a unique blend of people helping people. 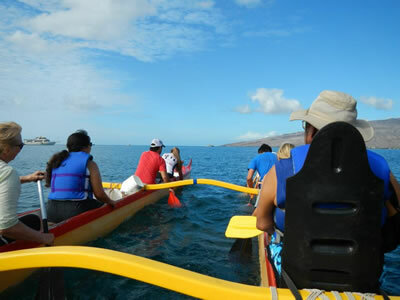 The goal is to continue to encompass life through the Wa’a on all levels from land to sea, to continue to provide recreational opportunities for everyone, to be fully inclusive and create an adaptive environment for successful participation, & to bring full circle the culture of Hawaii to all people. 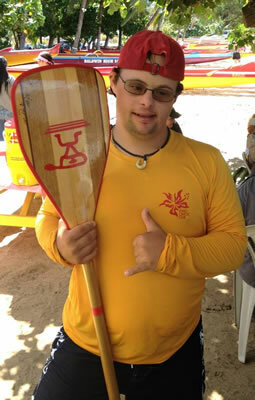 April 15, 2013 - We helped the County of Maui Department of Parks and Recreation, Kihei Canoe Club Halau Maui Nui O’ Kama, and Access Sport America with their Adapted Canoe Practice at the Kihei Canoe Club in Kihei, HI. 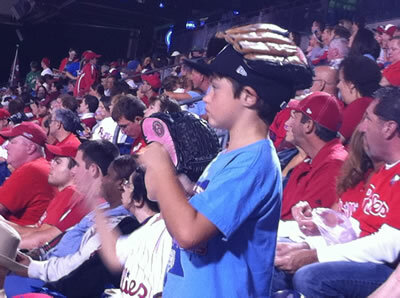 Held on the 3rd Mon. 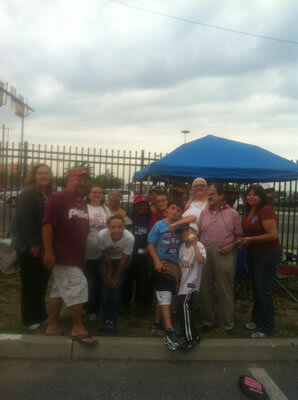 of each month from 9 - 11 a.m., this is a unique blend of people helping people. 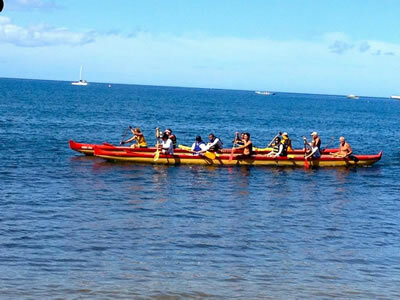 The goal is to continue to encompass life through the Wa’a on all levels from land to sea, to continue to provide recreational opportunities for everyone, to be fully inclusive and create an adaptive environment for successful participation, & to bring full circle the culture of Hawaii to all people. 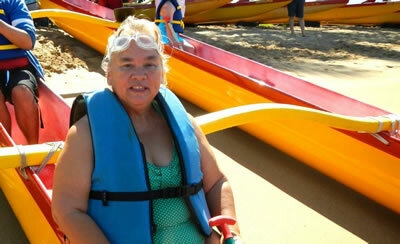 March 18, 2013 - We helped the County of Maui Department of Parks and Recreation, Kihei Canoe Club Halau Maui Nui O’ Kama, and Access Sport America with their Adapted Canoe Practice at the Kihei Canoe Club in Kihei, HI. 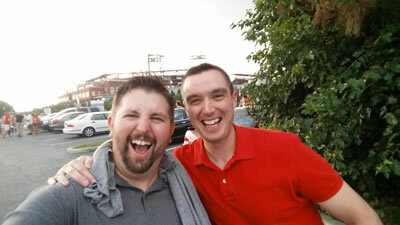 Held on the 3rd Mon. 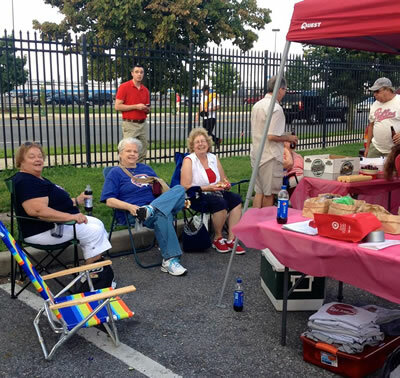 of each month from 9 - 11 a.m., this is a unique blend of people helping people. 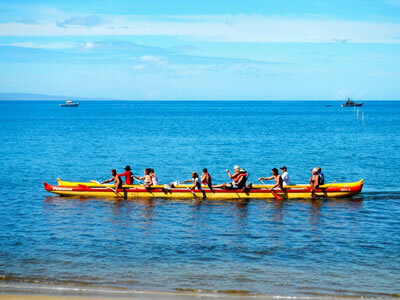 The goal is to continue to encompass life through the Wa’a on all levels from land to sea, to continue to provide recreational opportunities for everyone, to be fully inclusive and create an adaptive environment for successful participation, & to bring full circle the culture of Hawaii to all people. 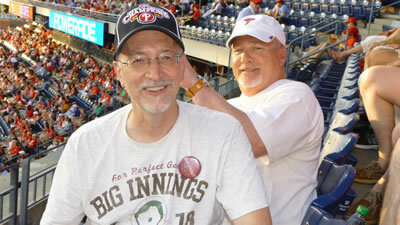 Return to the top of this page to view photos from this and other events. 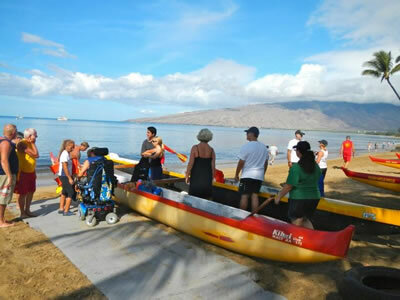 December 17, 2012 - We helped the County of Maui Department of Parks and Recreation, Kihei Canoe Club Halau Maui Nui O’ Kama, and Access Sport America with their Adapted Canoe Practice at the Kihei Canoe Club in Kihei, HI. 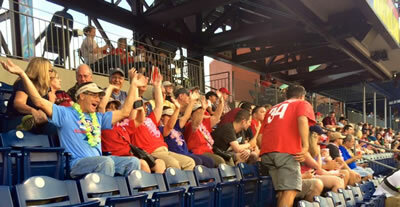 Held on the 3rd Mon. of each month from 9 - 11 a.m., this is a unique blend of people helping people. 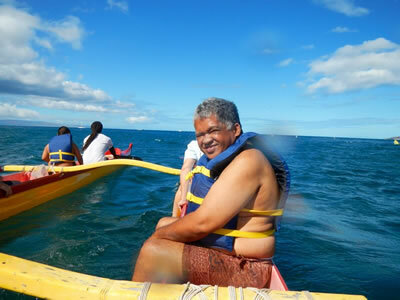 The goal is to continue to encompass life through the Wa’a on all levels from land to sea, to continue to provide recreational opportunities for everyone, to be fully inclusive and create an adaptive environment for successful participation, & to bring full circle the culture of Hawaii to all people. 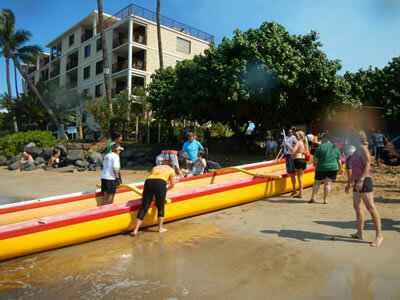 November 19, 2012 - We helped the County of Maui Department of Parks and Recreation, Kihei Canoe Club Halau Maui Nui O’ Kama, and Access Sport America with their Adapted Canoe Practice at the Kihei Canoe Club in Kihei, HI. 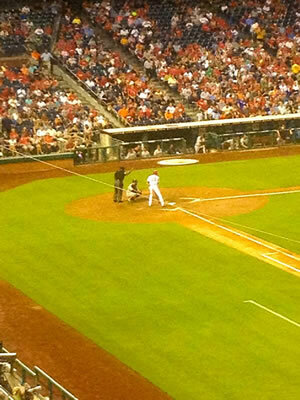 Held on the 3rd Mon. of each month from 9 - 11 a.m., this is a unique blend of people helping people. 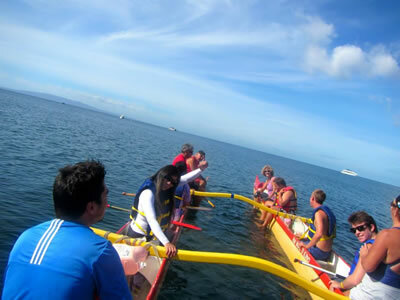 The goal is to continue to encompass life through the Wa’a on all levels from land to sea, to continue to provide recreational opportunities for everyone, to be fully inclusive and create an adaptive environment for successful participation, & to bring full circle the culture of Hawaii to all people. Return to the top of this page to view photos from this and other events. 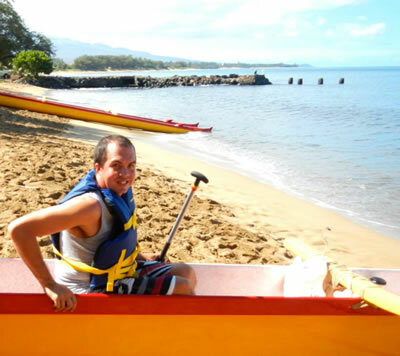 October 15, 2012 - We helped the County of Maui Department of Parks and Recreation, Kihei Canoe Club Halau Maui Nui O’ Kama, and Access Sport America with their Adapted Canoe Practice at the Kihei Canoe Club in Kihei, HI. Held on the 3rd Mon. of each month from 9 - 11 a.m., this is a unique blend of people helping people. 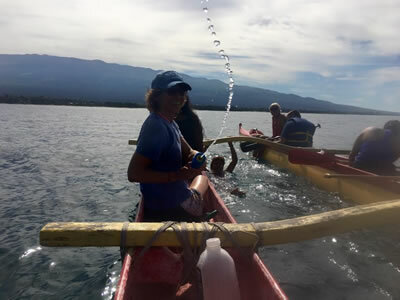 The goal is to continue to encompass life through the Wa’a on all levels from land to sea, to continue to provide recreational opportunities for everyone, to be fully inclusive and create an adaptive environment for successful participation, & to bring full circle the culture of Hawaii to all people. 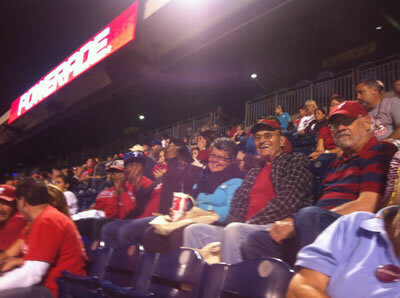 September 26, 2012 - We joined some of our supporters and friends at Citizens Bank Park in Philadelphia, PA, to watch the Phillies take on the Washington Nationals. 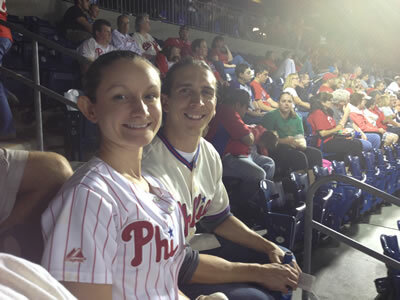 The Phillies lost, but in the end it was fun, raised awareness of the Fund, & helped increase the Fund's $$ to help others! 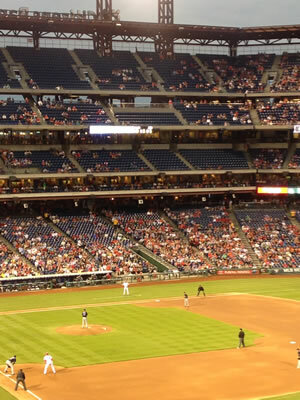 Thanks to everyone who came out for the game! Return to the top of this page to view photos from this and other events. 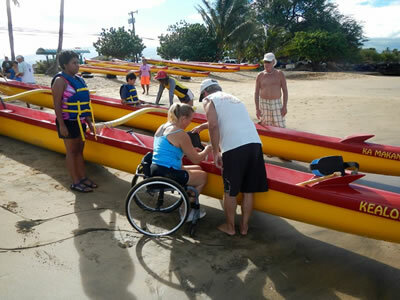 September 17, 2012 - We helped the County of Maui Department of Parks and Recreation, Kihei Canoe Club Halau Maui Nui O’ Kama, and Access Sport America with their Adapted Canoe Practice at the Kihei Canoe Club in Kihei, HI. 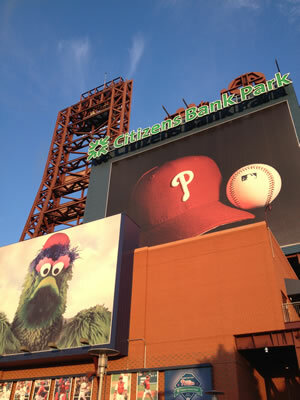 Held on the 3rd Mon. of each month from 9 - 11 a.m., this is a unique blend of people helping people. 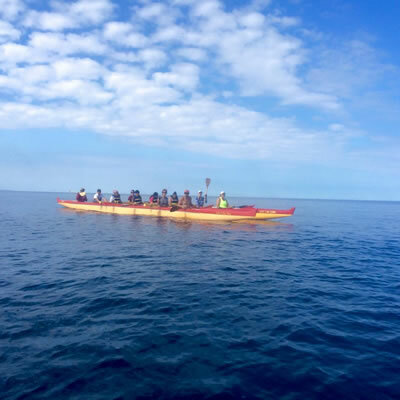 The goal is to continue to encompass life through the Wa’a on all levels from land to sea, to continue to provide recreational opportunities for everyone, to be fully inclusive and create an adaptive environment for successful participation, & to bring full circle the culture of Hawaii to all people. 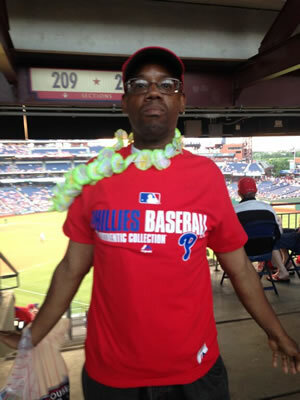 Return to the top of this page to view photos from this and other events. 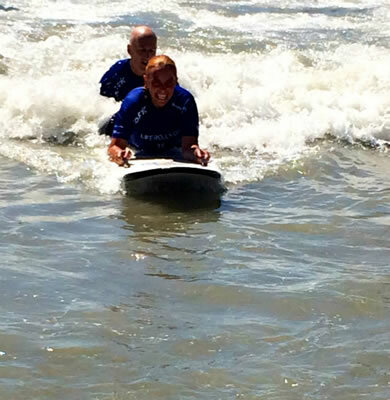 September 9, 2012 - We supported Surfers Healing at their Surf Camp in Belmar, NJ. 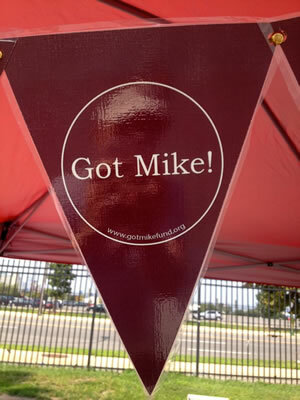 August 6, 2012 - The Got Mike! 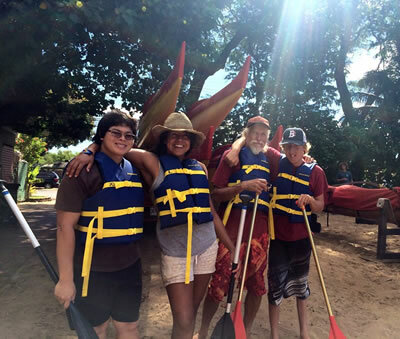 Fund was honored to contribute $1,000 to the Kihei Canoe Club for the purchase of life vests to assist with their Adaptive Canoe paddling events sponsored with the Maui Deptartment of Parks and Recreation. 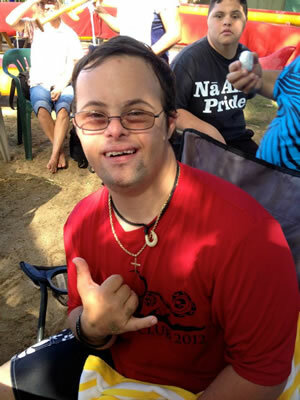 July 25, 2012 - We helped the County of Maui Department of Parks and Recreation with their Adapted Tennis event at the Kahului Community Center in Kahului, HI. 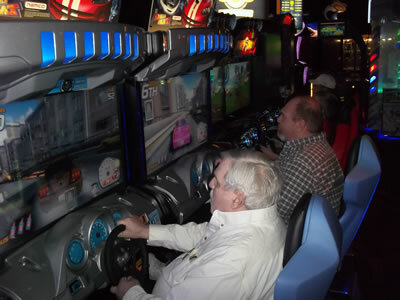 Held on the 2nd and 4th Wed. of each month from 3:30 - 5:30 p.m., this program is fun and free! 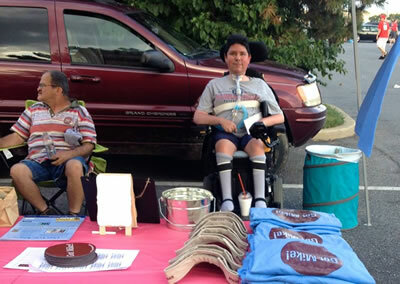 Wheelchair Tennis was created for individuals that require mobility supports in order to play tennis. 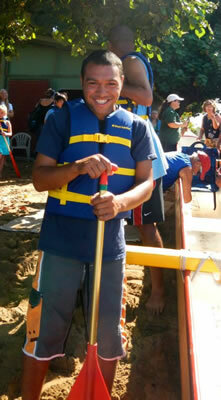 However, anyone can participate in this Maui program. 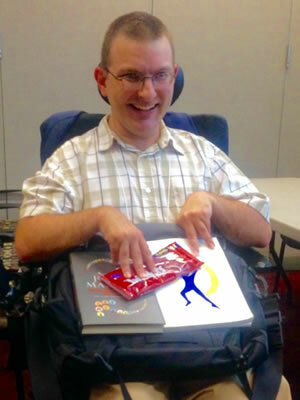 They provide the all-sport adaptive Quickie wheelchairs, water for hydration, and exercise for each player. 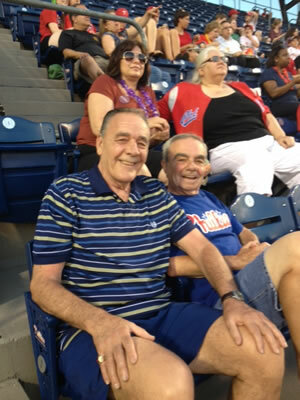 When funds and time permit, they have a professional tennis and wheelchair tennis instructors to guide your every move. 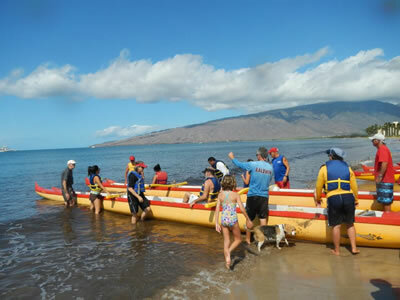 July 16, 2012 - We helped the County of Maui Department of Parks and Recreation, Kihei Canoe Club Halau Maui Nui O’ Kama, and Access Sport America with their Adapted Canoe Practice at the Kihei Canoe Club in Kihei, HI. 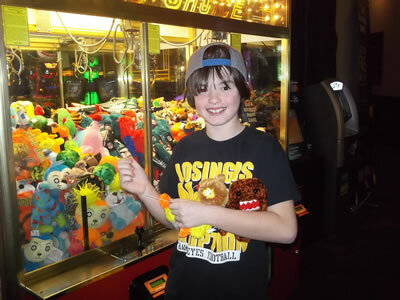 Held on the 3rd Mon. 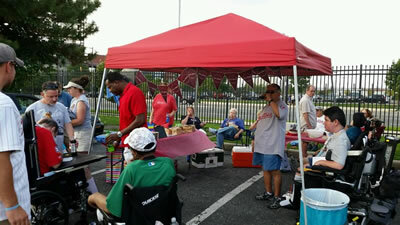 of each month from 9 - 11 a.m., this is a unique blend of people helping people. 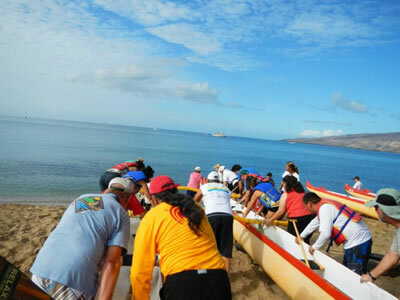 The goal is to continue to encompass life through the Wa’a on all levels from land to sea, to continue to provide recreational opportunities for everyone, to be fully inclusive and create an adaptive environment for successful participation, & to bring full circle the culture of Hawaii to all people. 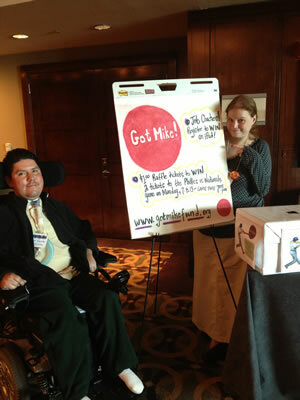 June 28, 2012 - The Got Mike! 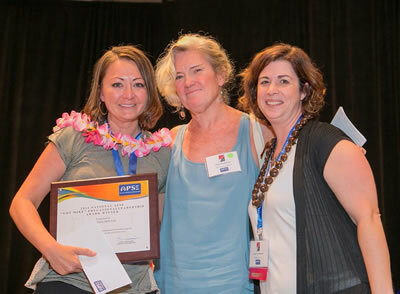 Fund Educational Leadership Award was given to a deserving doctoral student at the APSE 2012 National Conference in Arlington, VA. 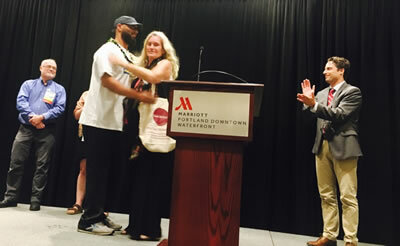 The winner was Nancy Molfenter, a Ph.D. student at the University of Wisconsin - Madison, the "driving force" of Employment First in WI, & "an outstanding example of scholarship in action"! 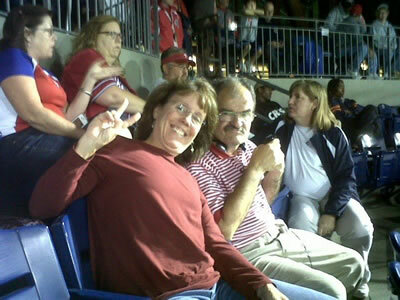 Mike would really like her!! 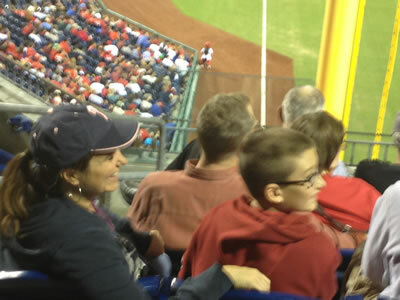 Return to the top of this page to view photos from this and other events. 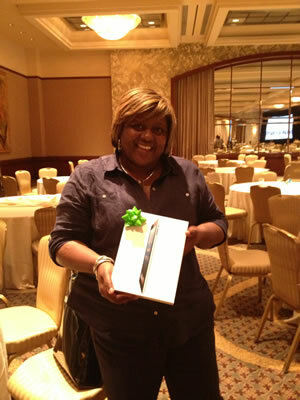 May 2, 2012 - An iPad was given to a local job coach at the 13th Employment Supports Symposium in Philadelphia, PA. 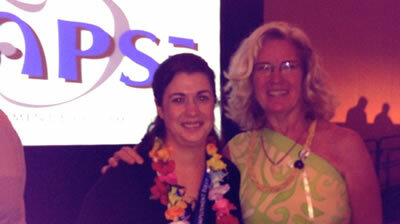 The winner was Katrice Casey from Wes Health Systems. Return to the top of this page to view photos from this and other events.